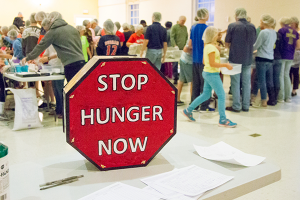 WOW: First Wednesdays continues this fall with a Stop Hunger Now meal packing on Wednesday, October 5. Dang Good Dogs and A1 Gyro & Philly will be here for dinner starting at 5:30pm. Sign up to pack meals. Shifts last one hour and begin at 6pm and 7pm. If you can’t attend the event, please consider donating toward the cost of the meals using the link above. Each Stop Hunger Now meal only costs $0.29! Stay tuned for additional details and, in the meantime, put October 5 on your calendar!